I remember the first time I heard about the Arc’s Value Village Personal Shopper service I was scrolling through Facebook. I got a few messages in my news feed that people were liking the Arc’s Value Village Personal Stylist Facebook page and commenting on her photos. 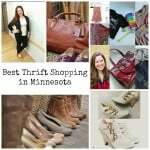 Not knowing what it was all about, I remember thinking I love thrifting, but who has the time to sort and find things! I always envied the people who found fabulous outfits and treasures at next-to-nothing prices but when I went on my own I always just came home with more kitchen dishes. I waited for an appointment announcement on Facebook and then went through the process of booking an appointment. I admit, I was skeptical. How would some lady whom I’ve never met figure out my style. It’s free, it can’t be that great, right? Wrong. Since that first appointment, I’ve been to see Michelle the lead personal shopper at Arc’s Value Village several times and guess what? She gets it right! 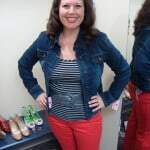 When I first went it was post-baby and truthfully I needed some clothes that comfortably fit my beautiful new mama body and gave me some style! What was my style? I had an idea but Michelle was there to help me figure it out. Michelle honors your style ideas and then pushes you a bit out of your comfort zone (just a bit, don’t worry). Me? I think I look weird in blazers so Michelle takes time to show me how to wear them in different ways. 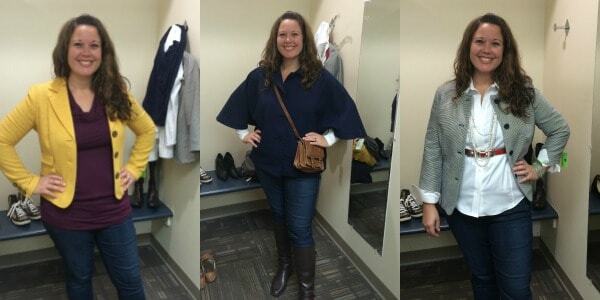 At our latest appointment she even found me a cape jacket! What do you think, honestly? And some really amazing brown leather boots! I believe that the Arc’s Value Village Personal Shopper service is such a treasure in the Twin Cities and it is one of my favorite Minnesota things. I was so excited that Michelle wanted to join in the fun and giveaway a personal stylist appointment plus a $25 gift card to use at Arc’s Value Village! For more information about how the appointment works, check out my first post on Arc’s Personal Shopper and for information about some of my favorite pieces from last summer, check out my Dual Appointment post. I can’t share a post about Arc’s personal shopper service without out telling you about the amazing work they do and where your money goes. When you buy clothes from Arc’s Value Village the proceeds go to many programs, advocacy efforts and services for families in our community that have an intellectual or developmental disability. 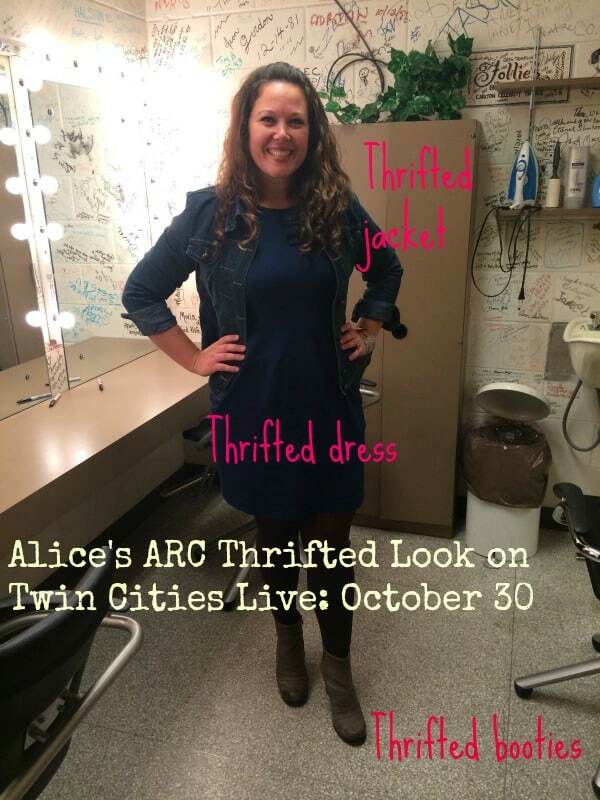 Arc’s Value Village Thrift Stores fund programs and services that help people with disabilities and their families chose and realize their goals of where and how they live, learn, work and play through ARC Greater Twin Cities. Now for the big birthday giveaway! Follow the Rafflecopter instructions below and enter to win a personal shopping appointment with Michelle and a $25 gift card! 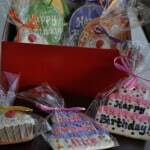 For a blog comment entry, tell me how you like to celebrate your birthday! Have you read my Why Birthdays Matter post? 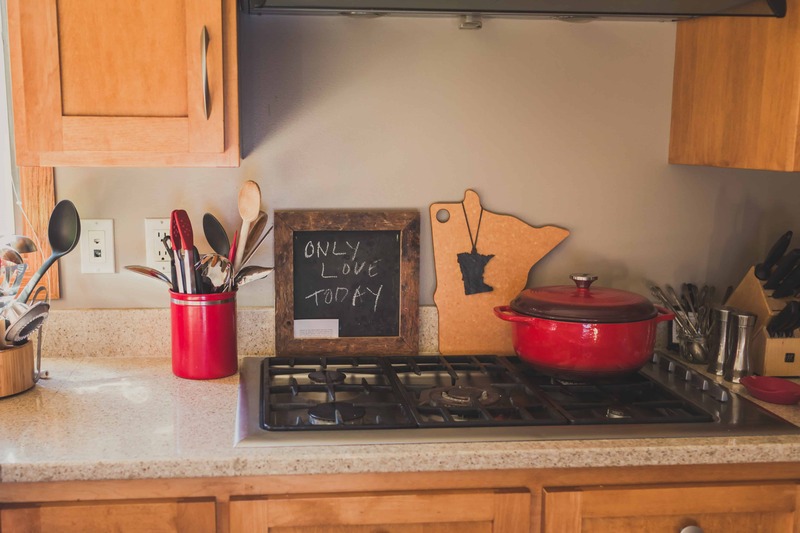 Check it out and enter to win some of my favorite Minnesota products and services! 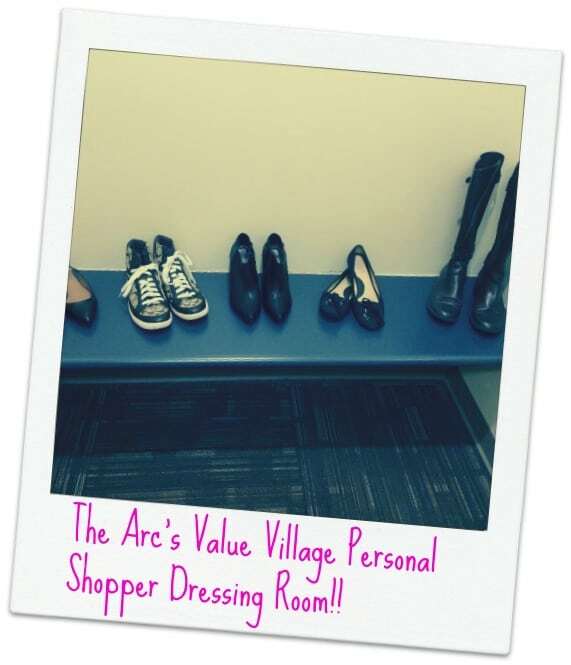 Go give Arc’s Value Village Personal Shopper some love on social media too! I have heard about this before and I am so interested, I might have to give it a try. I like your new clothes! Thanks, Kris! You should try it! So much fun to find some new things and get great prices! LOVE! Such a perfect memory! 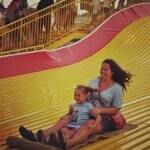 favorite birthday memory is that of my daughters first birthday. My husband and I shared a cupcake with her just the three of us and watched her just light up! 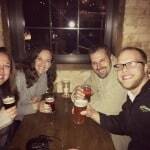 Such a sweet birthday memory! My favorite birthday memory is of my 4th birthday. It is not fun to have a birthday the same week as Christmas but my mom found a way. For my 4th birthday my mom arranged a private breakfast with Santa for me and my friends. My older sister got to stay home from school to help with the party. What a sweet and thoughtful way to celebrate your birthday!My husband’s birthday is the week of Christmas and we work very hard not to let it get lost in the holiday shuffle! Thanks Meg! I love your tradition and especially love picturing you curled up with a bag of jellybeans and a new book! Celebrating my birthday with one of my favorite people in the world, my dad, who will be 93 years old this year! Wow! That’s amazing! Great way to celebrate! I know I shared my RAK stuff that I love on Facebook but a recent birthday that my husband did for me was priceless. The year I turned 30 I really struggled so I started doing the RAK stuff to turn it around, well my husband took the opportunity to start crossing things off my bucket list. He didn’t tell me what we were doing but we road the trolley in MPLS and then he had found a water fountain and saved one of our songs (Why do fools rush in- Elvis). He walked me to the fountain (still not knowing what we were doing) and then took his shoes off. He stepped in the fountain in the middle of this park and then started the song and put 1 ear bud in my ear and 1 in his. Then we danced in a water fountain like no one was looking. It still makes me tear up thinking about it. There have been other gifts and other good times but sometimes it’s the things that cost nothing but give so much that mean the world. How beautiful! Tammy, I love the stories you have shared about birthdays and the realness of struggling through a milestone birthday. I was there too at 30 questioning many things and was blessed to have a husband by my side who was there through it too. It sounds like you have an amazing husband. What a romantic. Amazing memory for you! Thanks for being here, I always love hearing from you. I can remember turning 10 and playing old fashioned games in the back yard for my party. We did a 3-legged race, bobbed for apples, tug of war and more, ahhh the good ol’ days. Heidi, that sounds so fun! What a great memory! I like to celebrate my birthday with a date with my husband to the Russian Art Museum in Minneapolis. It’s just big enough that my art and culture thirsts are quenched, and my creativity is stimulated. They do a great job of curating a wide range of artists and at media. A date with my husband to a locally owned unique restaurant post art-date is greatly satisfying as well.